Foothills and Meadows offer two of the best practice areas in the state with large 50-station grass areas to practice most of the season. pro-shop to receive a code to enter at machine. MON: sunrise – 9 p.m.
TUES: 11:00 a.m. – 9 p.m.
WED-SUN: sunrise – 9 p.m.
MON: sunrise – 10 p.m.
TUES: 11:00 a.m. – 10 p.m.
WED-SUN: sunrise – 10 p.m.
MON-SUN: 8 a.m. – 4 p.m.
Last bucket of balls will be sold approximately ½ hour before dark. 7007 Meadows Golf Club Dr.
Small friendly informal Clubs where Members matter. Clubs with a proud 30 years + history. Compete in a fun and educational environment. Ability to make friends who also enjoy this game of a lifetime. Available times for any schedule. Witnesses: Ian Surkalo, Scott Harbaugh Jr. and Kegan Ketterlin. Zach Carpenter aces #7 on the Executive 9 Course at Foothills Golf Course. Paul Presta aces #8 on the Championship 18 Course at Foothills Golf Course. Colin Frazier aces #9 on the Executive 9 Course at Foothills Golf Course. Rodney Peters aces #2 on the Par 3 Course at Foothills Golf Course. Nicholas Sorensen aces #6 on the Par 3 Course at Foothills Golf Course. Diane Hegeman aces #6 on the Executive 9 Course at Foothills Golf Course. Marilyn Johnson aces #6 on the Par 3 Course at Foothills Golf Course. Ruby Lynett aces #5 on the Executive 9 Course at Foothills Golf Course. Larry Thompson aces #13 on the Championship 18 Course at Foothills Golf Course. Chuck Smith aces #4 on the Championship 18 Course at Foothills Golf Course. Dave Daniels aces #8 on the Championship 18 Course at Foothills Golf Course. Mandy Redfield aces #2 on the Executive 9 Course at Foothills Golf Course. Larry Young aces #5 on the Par 3 Course at Foothills Golf Course. Ken Gold aces #17 on the Championship 18 Course at Foothills Golf Course. Kristine Holmes aces #7 on the Championship 18 Course at Foothills Golf Course. Bill Via aces #6 on the Executive 9 Course at Foothills Golf Course. Mylee O’Donnell aces #1 on the Par 3 Course at Foothills Golf Course. Jarod Benison aces #2 on the Executive 9 Course at Foothills Golf Course. Paul Vlasick aces #4 on the Championship 18 Course at Foothills Golf Course. Austin Wallace aces #8 on the Par 3 Course at Foothills Golf Course. Barbara Bostwick aces #17 on the Championship 18 Course at Foothills Golf Course. Cheryl Hunt aces #4 on the Championship 18 Course at Foothills Golf Course. Christian Knipps aces #6 on the Executive 9 Course at Foothills Golf Course. Ken Mosher aces #13 on the Championship 18 Course at Foothills Golf Course. Warren Coble aces #8 on the Championship 18 Course at Meadows Golf Club. Ron Knight aces #6 on the Championship 18 Course at Meadows Golf Club. Steve Krieger aces #15 on the Championship 18 Course at Meadows Golf Club. Lisa Rickard aces #17 on the Championship 18 Course at Foothills Golf Course. Mary Doyen aces #4 on the Championship 18 Course at Foothills Golf Course. Mike Sexton aces #4 on the Championship 18 Course at Foothills Golf Course. Daniel Robins aces #17 on the Championship 18 Course at Foothills Golf Course. David Noriega aces #8 on the Championship 18 Course at Foothills Golf Course. Diana Shellhorn aces #6 on the Executive 9 Course at Foothills Golf Course. Judy Shrum aces #13 on the Championship 18 Course at Foothills Golf Course. Larry McDowell aces #4 on the Championship 18 Course at Foothills Golf Course. Mark Reinig aces #9 on the Executive 9 Course at Foothills Golf Course. Robbie Slavsky aces #4 on the Par 3 Course at Foothills Golf Course. Kelly Antony aces #8 on the Par 3 Course at Foothills Golf Course. Max Ellickson aces #8 on the Championship 18 Course at Foothills Golf Course. Tom Krizan aces #4 on the Championship 18 Course at Foothills Golf Course. Brenden Dubisher aces #7 on the Executive 9 Course at Foothills Golf Course. Dave Brougham aces #2 on the Executive 9 Course at Foothills Golf Course. Jrew Brittain aces #9 on the Executive 9 Course at Foothills Golf Course. Dennis O’Hara aces #8 on the Championship 18 Course at Meadows Golf Club. Brad Miller aces #9 on the Par 3 Course at Foothills Golf Course. Tony Peall aces #9 on the Executive 9 Course at Foothills Golf Course. Shelley OConnnell aces #4 on the Par 3 Course at Foothills Golf Course. Bill Carmichael aces #8 on the Championship 18 Course at Foothills Golf Course. Jack Landis aces #9 on the Executive 9 Course at Foothills Golf Course. Marilee Ross aces #6 on the Executive 9 Course at Foothills Golf Course. Jim Penvose aces #8 on the Championship 18 Course at Foothills Golf Course. Kenny Swanson aces #11 on the Championship 18 Course at Meadows Golf Club. Richard Bogacz aces #6 on the Executive 9 Course at Foothills Golf Course. Debbie Hodgkin aces #9 on the Executive 9 Course at Foothills Golf Course. Ben Poppe aces #8 on the Par 3 Course at Foothills Golf Course. Fred VanDusen aces #4 on the Championship 18 Course at Foothills Golf Course. Darren Sagee aces #5 on the Executive 9 Course at Foothills Golf Course. Carol Carroll aces #2 on the Executive 9 Course at Foothills Golf Course. Rob DeSoto aces #7 on the Executive 9 Course at Foothills Golf Course. Thomas Wright aces #4 on the Championship 18 Course at Foothills Golf Course. Dennis O hara aces #8 on the Championship 18 Course at Foothills Golf Course. Terry Oneil aces #7 on the Executive 9 Course at Foothills Golf Course. Howard Stevens aces #8 on the Par 3 Course at Foothills Golf Course. Melissa Mares aces #15 on the Championship 18 Course at Meadows Golf Club. Brian Neary aces #8 on the Championship 18 Course at Foothills Golf Course. Billy Doak aces #13 on the Championship 18 Course at Foothills Golf Course. John Pettenger aces #2 on the Executive 9 Course at Foothills Golf Course. Leif Rosenvold aces #8 on the Championship 18 Course at Foothills Golf Course. Barry White aces #4 on the Championship 18 Course at Foothills Golf Course. Trevor McKune aces #2 on the Par 3 Course at Foothills Golf Course. Kyle Arbuckle aces #8 on the Par 3 Course at Foothills Golf Course. Rick Seymour aces #3 on the Championship 18 Course at Meadows Golf Club. Pat Allen aces #5 on the Par 3 Course at Foothills Golf Course. Michael Pierson aces #5 on the Championship 18 Course at Foothills Golf Course. Pat McIntosh aces #17 on the Championship 18 Course at Foothills Golf Course. Walter Raymond aces #3 on the Par 3 Course at Foothills Golf Course. Matt Hirsch aces #11 on the Championship 18 Course at Meadows Golf Club. James Dunkleberger aces #11 on the Championship 18 Course at Meadows Golf Club. Sam Houston aces #15 on the Championship 18 Course at Meadows Golf Club. Ralph Campbell aces #8 on the Championship 18 Course at Foothills Golf Course. Josh Williams aces #17 on the Championship 18 Course at Foothills Golf Course. Tim Martinez aces #4 on the Championship 18 Course at Foothills Golf Course. Scott Smith aces #3 on the Championship 18 Course at Meadows Golf Club. Darryl Milne aces #2 on the Par 3 Course at Foothills Golf Course. Bill Flecksteiner aces #3 on the Par 3 Course at Foothills Golf Course. Marilyn Johnson aces #1 on the Par 3 Course at Foothills Golf Course. Keith Atzman aces #7 on the Executive 9 Course at Foothills Golf Course. Curt Ehli aces #4 on the Championship 18 Course at Foothills Golf Course. Roger Merkley aces #8 on the Championship 18 Course at Foothills Golf Course. Janet Rossi aces #5 on the Par 3 Course at Foothills Golf Course. Celinda Wilkening aces #13 on the Championship 18 Course at Foothills Golf Course. Kim Duffy aces #4 on the Championship 18 Course at Foothills Golf Course. Jaclyn Fields aces #1 on the Par 3 Course at Foothills Golf Course. Marcus Davis aces #17 on the Championship 18 Course at Foothills Golf Course. Josh King aces #7 on the Par 3 Course at Foothills Golf Course. Gerry Vurciaga aces #4 on the Championship 18 Course at Foothills Golf Course. Neal McMillen aces #1 on the Par 3 Course at Foothills Golf Course. Robert Bell aces #8 on the Championship 18 Course at Foothills Golf Course. Robert H. Baker aces #2 on the Par 3 Course at Foothills Golf Course. Ryan Earnest aces #7 on the Executive 9 Course at Foothills Golf Course. Mark Norgard aces #4 on the Championship 18 Course at Foothills Golf Course. Curt Todd aces #5 on the Executive 9 Course at Foothills Golf Course. Phil Haskell aces #4 on the Championship 18 Course at Foothills Golf Course. Audrey Carapella aces #6 on the Par 3 Course at Foothills Golf Course. Yvonne Liverant aces #5 on the Executive 9 Course at Foothills Golf Course. Michael Cassidy aces #7 on the Executive 9 Course at Foothills Golf Course. Jill Gaschler aces #17 on the Championship 18 Course at Foothills Golf Course. Kenneth C. Roll aces #8 on the Par 3 Course at Foothills Golf Course. Denise Mills aces #7 on the Executive 9 Course at Foothills Golf Course. Marcelino Gonzales aces #4 on the Par 3 Course at Foothills Golf Course. Cody Marsh aces #2 on the Par 3 Course at Foothills Golf Course. Val Prolow aces #8 on the Championship 18 Course at Foothills Golf Course. Phil Henke aces #8 on the Championship 18 Course at Foothills Golf Course. Dave Danielson aces #9 on the Executive 9 Course at Foothills Golf Course. Dave Melchior aces #4 on the Championship 18 Course at Foothills Golf Course. Connie Stockhaus aces #5 on the Par 3 Course at Foothills Golf Course. Ken Schwaner aces #2 on the Par 3 Course at Foothills Golf Course. Brian Maksym aces #7 on the Executive 9 Course at Foothills Golf Course. Shirley Mosehetti aces #17 on the Championship 18 Course at Foothills Golf Course. Joan Lefevre aces #2 on the Executive 9 Course at Foothills Golf Course. Rick Norby aces #4 on the Championship 18 Course at Foothills Golf Course. Evan Wilking aces #2 on the Par 3 Course at Foothills Golf Course. Dan Andrews aces #13 on the Championship 18 Course at Foothills Golf Course. Dean Ortiz aces #9 on the Executive 9 Course at Foothills Golf Course. Alan Brimmer aces #4 on the Championship 18 Course at Foothills Golf Course. Mike Marsolek aces #8 on the Championship 18 Course at Foothills Golf Course. Chris Reynolds aces #5 on the Par 3 Course at Foothills Golf Course. Mike Vasquez aces #4 on the Championship 18 Course at Foothills Golf Course. Eric Duggan aces #7 on the Executive 9 Course at Foothills Golf Course. Holly Durkin aces #7 on the Executive 9 Course at Foothills Golf Course. Linda Meyers aces #17 on the Championship 18 Course at Foothills Golf Course. Ross Bradley aces #4 on the Championship 18 Course at Foothills Golf Course. Jim Powell aces #4 on the Championship 18 Course at Foothills Golf Course. Jo Ann Dunham aces #13 on the Championship 18 Course at Foothills Golf Course. Ari Wechsler aces #3 on the Par 3 Course at Foothills Golf Course. Elaine Olson aces #8 on the Par 3 Course at Foothills Golf Course. Gordon Davidson aces #1 on the Par 3 Course at Foothills Golf Course. Gary Marshall aces #8 on the Championship 18 Course at Foothills Golf Course. James Concilio aces #13 on the Championship 18 Course at Foothills Golf Course. Larry Beaumont aces #4 on the Championship 18 Course at Foothills Golf Course. Joe Jakopic aces #7 on the Executive 9 Course at Foothills Golf Course. John Gregg aces #1 on the Par 3 Course at Foothills Golf Course. Ian Surkalo aces #17 on the Championship 18 Course at Foothills Golf Course. Jimmy O’Neill aces #5 on the Executive 9 Course at Foothills Golf Course. Pete (Leonard) Stenbeck aces #7 on the Executive 9 Course at Foothills Golf Course. Stephanie Jones aces #2 on the Par 3 Course at Foothills Golf Course. JoAnn Edmonds aces #4 on the Championship 18 Course at Foothills Golf Course. Austin Gibson aces #9 on the Executive 9 Course at Foothills Golf Course. Tiffany Martinez aces #2 on the Executive 9 Course at Foothills Golf Course. Larry Janowiak aces #9 on the Par 3 Course at Foothills Golf Course. Ryan Stordahl aces #6 on the Executive 9 Course at Foothills Golf Course. Richard Playford aces #9 on the Executive 9 Course at Foothills Golf Course. Gary D. Roberts aces #8 on the Par 3 Course at Foothills Golf Course. Larry Hanan aces #8 on the Championship 18 Course at Foothills Golf Course. Jim Charlton aces #8 on the Championship 18 Course at Foothills Golf Course. Ron Crandall aces #4 on the Championship 18 Course at Foothills Golf Course. Marge Nelson aces #9 on the Executive 9 Course at Foothills Golf Course. Lara Tracy aces #4 on the Championship 18 Course at Foothills Golf Course. Cole Clifton aces #3 on the Par 3 Course at Foothills Golf Course. Mary L. Ray aces #2 on the Executive 9 Course at Foothills Golf Course. Tim Coulter aces #4 on the Championship 18 Course at Foothills Golf Course. David Pagano aces #4 on the Championship 18 Course at Foothills Golf Course. David L. Nelson aces #17 on the Championship 18 Course at Foothills Golf Course. Michael Greenwood aces #13 on the Championship 18 Course at Foothills Golf Course. Corkey Wassam aces #4 on the Par 3 Course at Foothills Golf Course. Bob Peacock aces #9 on the Executive 9 Course at Foothills Golf Course. Lori Walkup aces #4 on the Championship 18 Course at Foothills Golf Course. Jim Davis aces #7 on the Par 3 Course at Foothills Golf Course. Joe Schomer aces #3 on the Par 3 Course at Foothills Golf Course. Phill Word aces #6 on the Executive 9 Course at Foothills Golf Course. Bob Peacock aces #2 on the Executive 9 Course at Foothills Golf Course. Clinton Garrett aces #4 on the Championship 18 Course at Foothills Golf Course. Lance Matarazzo aces #5 on the Executive 9 Course at Foothills Golf Course. LeeAnn Hampton aces #7 on the Executive 9 Course at Foothills Golf Course. Ron Pred aces #4 on the Championship 18 Course at Foothills Golf Course. Harrison Keijzer aces #9 on the Executive 9 Course at Foothills Golf Course. Donna Milne aces #6 on the Executive 9 Course at Foothills Golf Course. Tom Neal aces #6 on the Par 3 Course at Foothills Golf Course. Clair Gilbert aces #6 on the Executive 9 Course at Foothills Golf Course. Chappie Chapman aces #4 on the Championship 18 Course at Foothills Golf Course. Walter Heline aces #7 on the Executive 9 Course at Foothills Golf Course. Bonnie Mueller aces #7 on the Executive 9 Course at Foothills Golf Course. 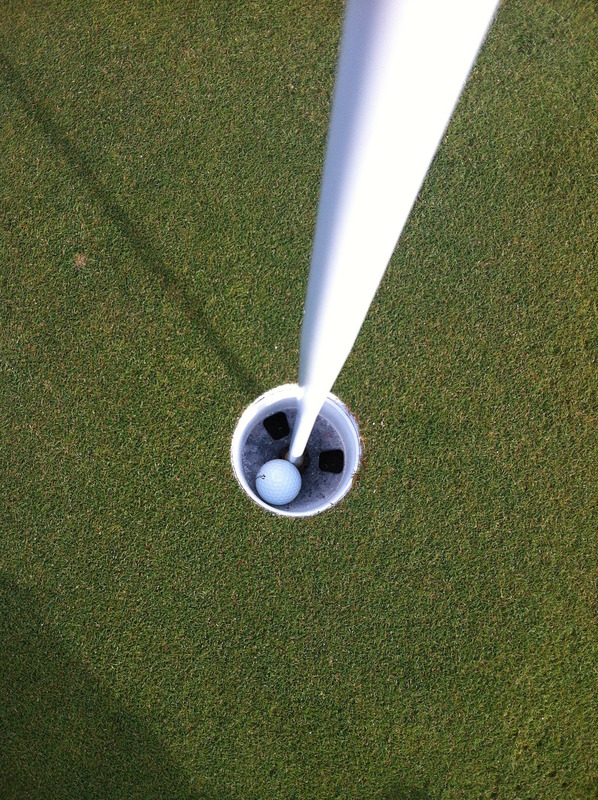 Dustin Estep aces #8 on the Par 3 Course at Foothills Golf Course. Billybob Hill aces #4 on the Championship 18 Course at Foothills Golf Course. Eric Winters aces #3 on the Par 3 Course at Foothills Golf Course. Ryan Seltenreich aces #8 on the Par 3 Course at Foothills Golf Course. Chris Wattier aces #9 on the Executive 9 Course at Foothills Golf Course. Jim McCarthy aces #4 on the Championship 18 Course at Foothills Golf Course. Dale Fields aces #4 on the Championship 18 Course at Foothills Golf Course. Lee VanDyke aces #4 on the Championship 18 Course at Foothills Golf Course. Victor Bruce aces #8 on the Championship 18 Course at Foothills Golf Course. Linda Daniels aces #3 on the Par 3 Course at Foothills Golf Course. Dorothy Max aces #7 on the Executive 9 Course at Foothills Golf Course. Bob Lewis aces #8 on the Championship 18 Course at Foothills Golf Course. Elmer Jamieson aces #7 on the Executive 9 Course at Foothills Golf Course. Gary Roberts aces #2 on the Par 3 Course at Foothills Golf Course. Lou Schreiner aces #4 on the Championship 18 Course at Foothills Golf Course. Fred Brooke aces #9 on the Executive 9 Course at Foothills Golf Course. Mark Geisler aces #4 on the Executive 9 Course at Foothills Golf Course. Rollie Fortman aces #2 on the Executive 9 Course at Foothills Golf Course. Danny Athenour aces #6 on the Executive 9 Course at Foothills Golf Course. Jil Cohn aces #9 on the Executive 9 Course at Foothills Golf Course. Cap Lewis aces #8 on the Championship 18 Course at Foothills Golf Course. Mitch Elwood aces #4 on the Championship 18 Course at Foothills Golf Course. Judi Moeder aces #4 on the Championship 18 Course at Foothills Golf Course. Bill Ambron aces #8 on the Championship 18 Course at Foothills Golf Course. Kent Setty aces #8 on the Championship 18 Course at Foothills Golf Course. Dawn Browne aces #7 on the Executive 9 Course at Foothills Golf Course. Michael Harris aces #7 on the Executive 9 Course at Foothills Golf Course. George Squires aces #4 on the Championship 18 Course at Foothills Golf Course. James McDonald aces #4 on the Championship 18 Course at Foothills Golf Course. Bill Mueller aces #11 on the Championship 18 Course at Meadows Golf Club. Steve Martin aces #3 on the Championship 18 Course at Meadows Golf Club. Carl Bergman aces #4 on the Championship 18 Course at Foothills Golf Course. Victor Beeby aces #13 on the Championship 18 Course at Foothills Golf Course. Patrick Roberts aces #7 on the Par 3 Course at Foothills Golf Course. Ron Ahrenkiel aces #13 on the Championship 18 Course at Foothills Golf Course. Randy Basham aces #17 on the Championship 18 Course at Foothills Golf Course. Gary Romansky aces #4 on the Championship 18 Course at Foothills Golf Course. Yvette Deane aces #13 on the Championship 18 Course at Foothills Golf Course. Ron Crandall aces #13 on the Championship 18 Course at Foothills Golf Course. Jim Grubbs aces #4 on the Championship 18 Course at Foothills Golf Course. Dan Bradley aces #13 on the Championship 18 Course at Foothills Golf Course. Valid for use at Foothills Golf Course and Meadows Golf Club. Golf Gift Cards can only be purchased at Foothills Golf Course or Meadows Golf Club. Valid at any Foothills Park & Recreation District recreation facility for any program or class, including massage! Recreation Gift Cards can be purchased at: Peak Community & Wellness Center, Ridge Recreation Center, Lilley Gulch Recreation Center and Edge Ice Arena.